Single, large, elaborate tassel ornaments such as this example were stitched to the upper end of a man’s shawl or body wrap to act as a weight over the shoulder (Schmitt, 2004). It embodies a variety of decorative elements of the Naga people of remote Northeast India (Nagaland). The main body comprises a slightly flared thin wooden block adorned by various decorative elements. Ten rows of seed husks adorn the main body (two small segments are missing on one side). They were white in colour originally, but with age have developed a light gold honey glow. They are woven to the main body with vegetal fibre. A slightly flared thin wooden block forms the substrate of the main body. 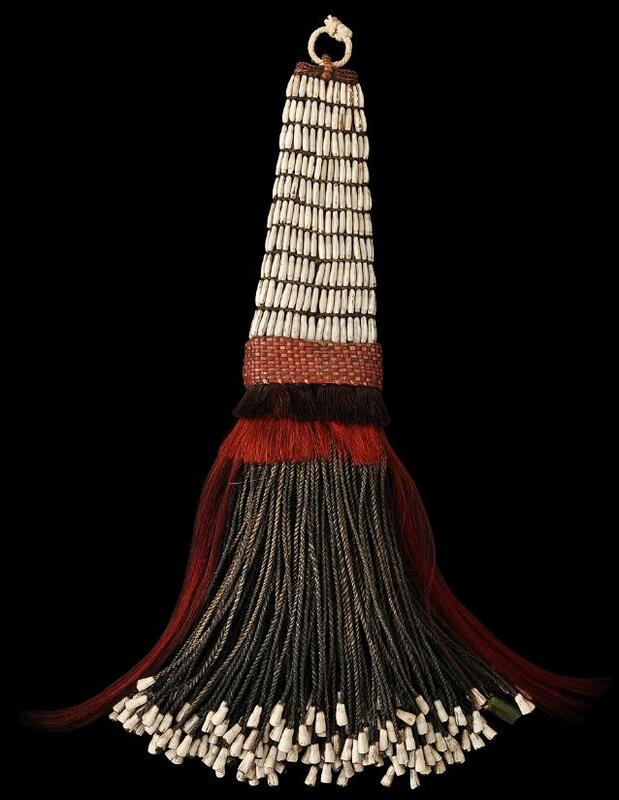 Both the top and bottom of the ornament are held together by intricate basketry work that comprises interwoven yellow and dyed red bamboo strips. These hold together the multi-layered fringes that dangle from the lower part of the ornament body. The first layer of fringes comprises short dark goat hair. 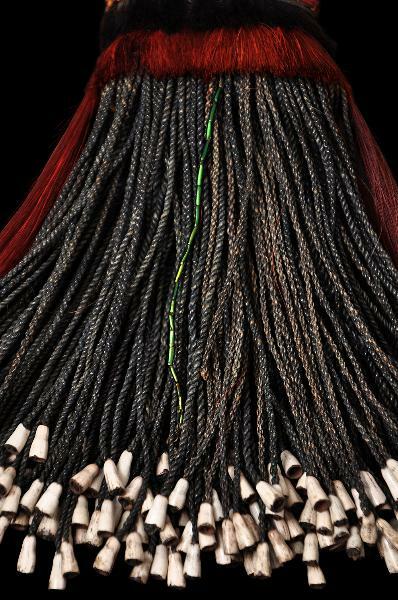 The second consists of dyed-red goat hair, cut short at the front and the back, leaving two long red tails dangling on the sides. 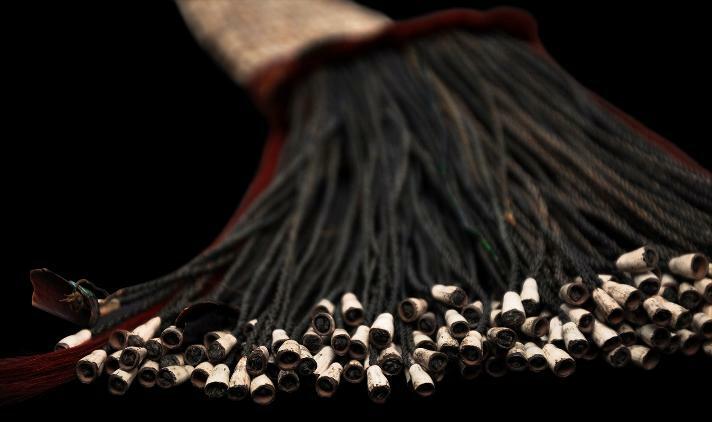 The innermost layer consists of long and fine black vegetal fibres plaited in various patterns. The end of each of these is finished with a cut, bell-like seashell segment. Almost all the seashell segments are present. Two other plaited fringes have fluorescent green beetle elytra (wings) at their ends. Among the plaited black fringes is a striking green fringe made up entirely of beetle tibia (leg components). These fluorescent green beetle elements give this ear-ornament a majestic presence. Published examples are rare but a very similar example is illustrated in Shilu (2003, p, 28). 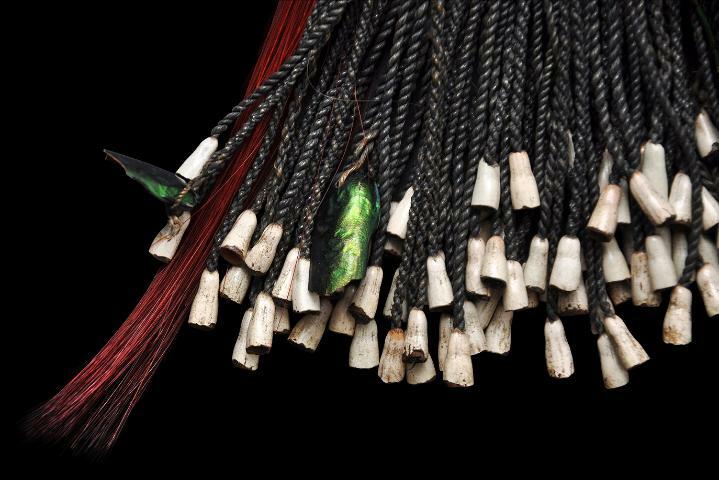 The use of fluorescent beetle elements is rare among the Naga people. Beetle wings from sternocera aequisignata and chrysochroa vittata, both native to Southeast Asia, have been incorporated with other decorations to demonstrate social cues of personal status in Naga society. Chrysochroa vittata is native to Thailand and Malaysia. Sternocera aequisignata is used in Thailand for beetle wing decoration. These elements found their way to the Nagas via trade. The Angamis, the Rengma, the Zemi, the Sema, and the Konyak are among the Naga sub-groups that used beetle decorations. The privilege of wearing beetle wings represented a social elevation that could only be achieved by men, through both head-taking and ceremonial feast- giving. However, women assumed the right to wear decorations that incorporated beetle elements based upon the achievements of their fathers and husbands. The Pitt Rivers Museum at Oxford (UK) holds examples of Naga garments collected by the anthropologist J.P. Mills which consist of women’s wrap skirts and breast cloths embellished with rows and fringes of beetle wings. Overall, this is a large piece, in fine condition, with only minor losses, and with good patina to the basketry work and seed segments. Ao, A. S., Naga Tribal Adornment: Signatures of Status and Self, The Bead Society of Greater Washington, 2003. Bower, U. G., Naga Path, Readers Union, 1952. Hodson, T. C., “The Native Tribes of Manipur”, in The Journal of the Anthropological Institute of Great Britain and Ireland, Royal Anthropological Institute of Great Britain and Ireland, Vol. 31, 1901. Hodson, T. C., The Naga tribes of Manipur, Macmillan & Co., 1911. Le Fur, Y., Musée du quai Branly: The Collection : Art from Africa, Asia, Oceania, and the Americas, Flammarion, Paris, 2009. Mills, J. P., The Rengma Nagas, Macmillan & Co., 1937. Mueller, J. P. B., Art of Nagaland: The Barbier-Mueller Collection Geneva, The Los Angeles County Museum of Art, 1984. 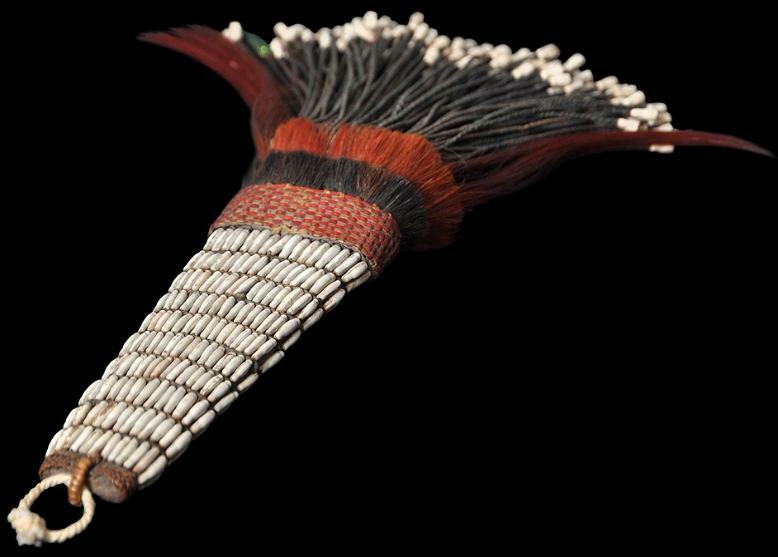 Schmitt, K., ‘The language of Naga ornament: Beads, Bones and Hornbill feathers’, Arts of Asia, July-August 2004. 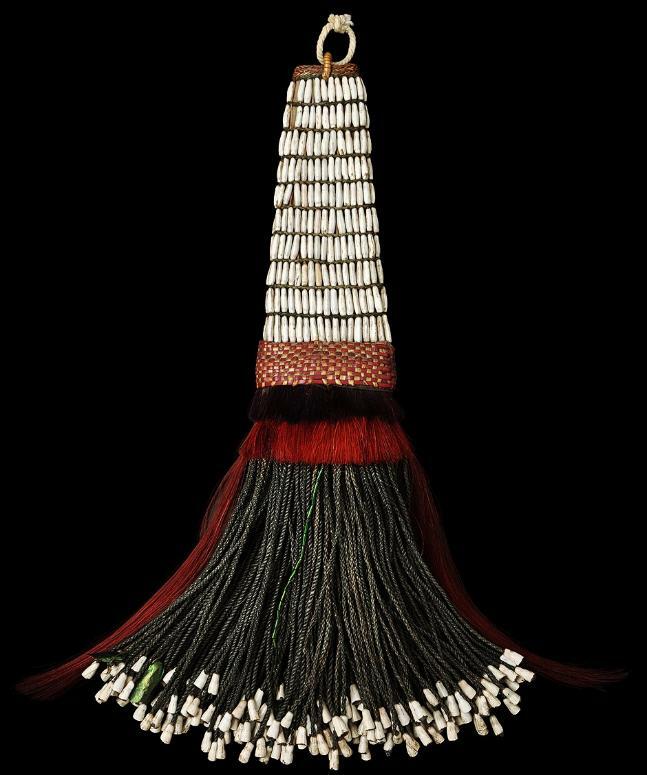 Shilu, A., Naga Tribal Adornment: Signatures of Status and Self, The Bead Museum, Washington, 2003.